Surf Coast Franchise Opportunity: What Makes This Worth Taking? HomeSurf Coast Franchise Opportunity: What Makes This Worth Taking? Surf Coast Shire Shire is one of the most booming towns in the state, making it a great location to start a small business. If you are looking for a small business for sale Surf Coast, Victoria, consider getting a franchise that has been established for many years. 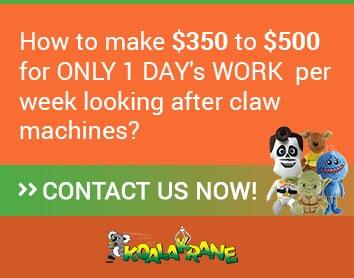 Koalakrane is a claw machine Surf Coast franchise opportunity that allows members to set up their business exclusively in the area. This means that you are given the chance to operate your machines without another franchisee sharing the profit with you. Since Surf Coast Shire is located along one of Australia’s most stunning beaches, locals and tourists often flock to this side of town. The good thing about this franchise business is that you can expand your territory to other nearby towns along Surf Coast area, such as Colac, Winchelsea, Cobden, and Terang, and get ownership in the territory. 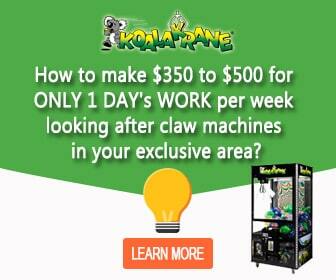 That’s just one of the advantages that you can get when you become a Koalakrane franchisee. Other advantages of getting a franchise instead of making a business from scratch are that you can get going and make a profit as soon as you can. Since a claw machine franchise already follows an established business system, you are less likely to commit business faux pas anytime soon. You are also likely to be offered franchisee assistance throughout your journey. If you are interested in this promising small business opportunity, grab the chance while you can! Learn how to be our Surf Coast franchisee by contacting us today, so we can advise you if the area is still available and give you a list of nearby towns that you can still operate.